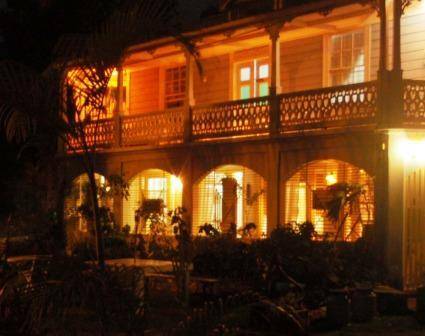 The Bed & Breakfast Oracabessa is the right choice for travelers looking for a combination of charme, tranquility and beach, and a convenient location to explore the North Coast and its attractions. We are a small and friendly guest house with a private beach where the turtles nesting and hatching can be watch. The guest house has 2 floors, no elevator. The ground floor is our lounge, bar and restaurant where you can sit and drink coffee, eat, or just read a book. The 6 guest rooms are on the first floor. 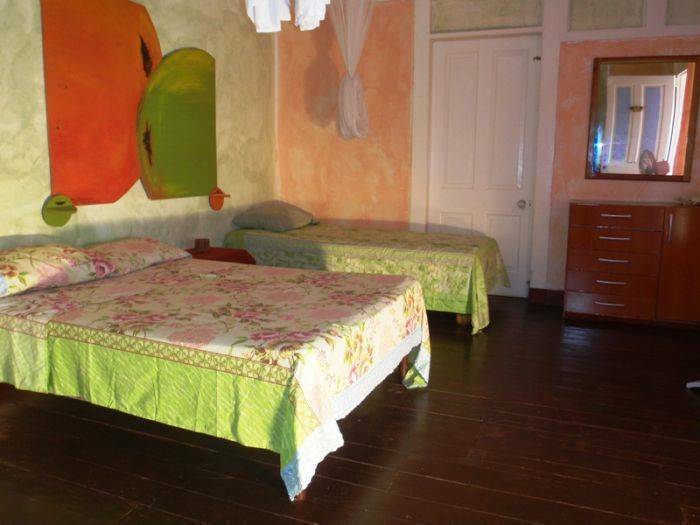 Each room is beautifully decorated, all have a fan and a mosquito net. Upstairs there is also a wonderful veranda with comfortable seating and you can enjoy the ocean view. Our breakfast are served with bread and rolls from our German Bakery and is served in the lounge on the ground floor or on our veranda. Small snacks are available at all times and we like to cook dinner by arrangement. The rooms are on the 1st Floor also has a guest kitchen with a small stove and refrigerator. The private beach is just 80 meters down stairs. The beautiful beach is wide, sandy and holds shadow places to stay ready. Our guests enjoy an honest and personal service. A time to make friends! There are nice beaches, breathtaking waterfalls, and eye-catching nature less than 15 minutes from the guesthouse. The beautiful scenery has not yet been affected by tourism. There are nice restaurants in the area. There is a supermarket, fruit market, restaurants, bars, and many small shops in Oracabessa that is only 3km (approx 2 miles) away. Reggae concerts take place at the James Bond Beach, which is also only 3km away. 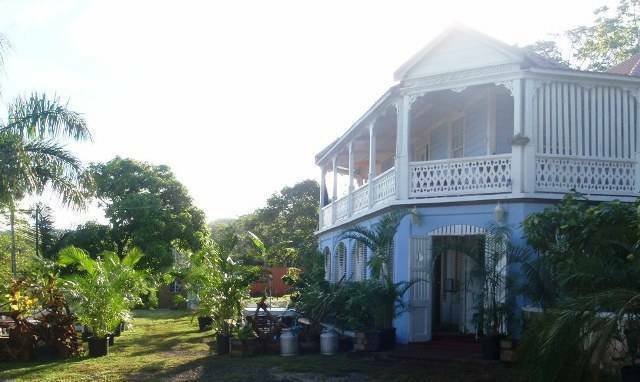 There is plenty to see and do in the town of Ocho Rios, which is only 15km (approx. 9 miles) away. There are clubs, parties, concerts, bars, cafés, restaurants (Greek, Indian, Italian), cinema, casino, dolphin shows, tennis, golf, horse back riding, diving, craft markets and a whole lot more. ? The rooms are spacious, clean and adequately furnished (complete with a heavy duty fan and mosquito netting above the bed). One Bedroom is include private bathrooms others are shared. Gratuity not included. Until booking confirmed, rates are subject to change without notice. Add 1 USD/night/guest for tourist tax, payable on arrival. A maximum of one child under 10 years sharing with one or two adults will be free. 10 % non-refundable deposit of the total amount. We will happily reschedule or change the dates of your reservation (subject to availability) up to 3 days before arrival date for a further 10 percent non-refundable charge. Cancellations should be in writing (letter or e-mail). 14 days to 2 day before arrival date – cancellation fee of one night. 48 hours before arrival date or no show – no refund of total advance paid. No refund for late arrivals, early departures or unused nights. 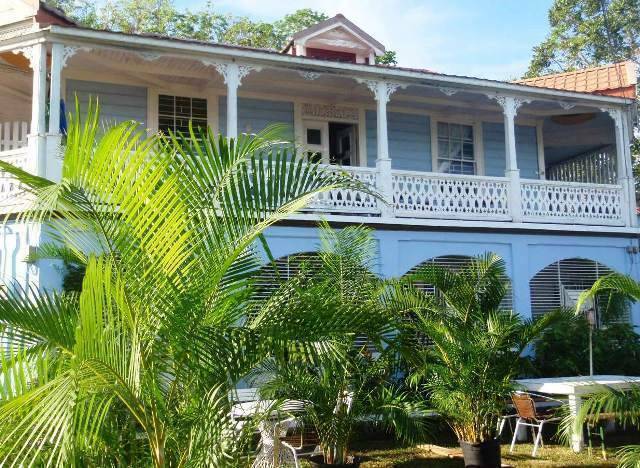 about 15 km to Ocho Rios is the right hand of the IAN Flemming Airport – approximately 1 km after the Airport you will find our house also on the right side. At our center you have a beautiful view of the James Bond Beach, Oracabessa Bay. Oracabessa is located between Port Maria and Ocho Rios. Oracabessa have to go through it completely. (always a turn on :) Our house is located about 500 meters after the Shell gas station on the left. You will first see a movie poster of Jack Sparrow on our container. Bus and taxi fares are extremely low. The trip to Ocho Rios costs approximately $2 and the ride takes approximately 15 minutes. Local buses (which are less expensive) and taxis run all day and through the night and they stop in front of the guesthouse (so the most you wait is 3 minutes). Tours to the most interesting spots in Jamaica can also be arranged.